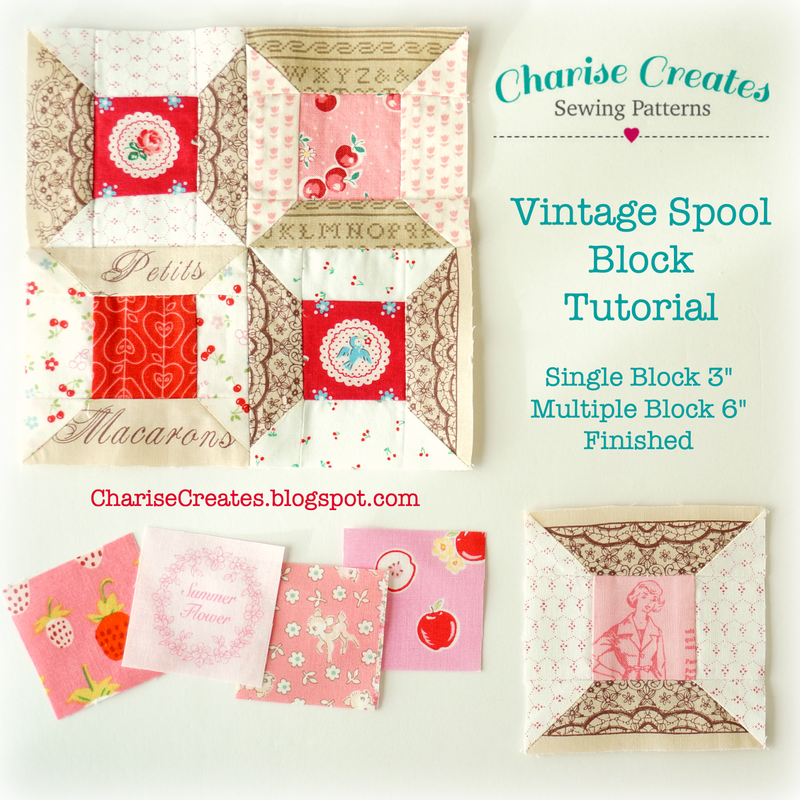 Charise Creates: Quilty Fun Blog Hop ~ Flowers ~ and a Give Away! 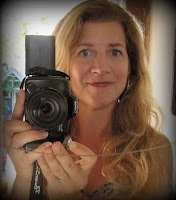 I am so thrilled to be a part of the Quilty Fun Blog Hop. 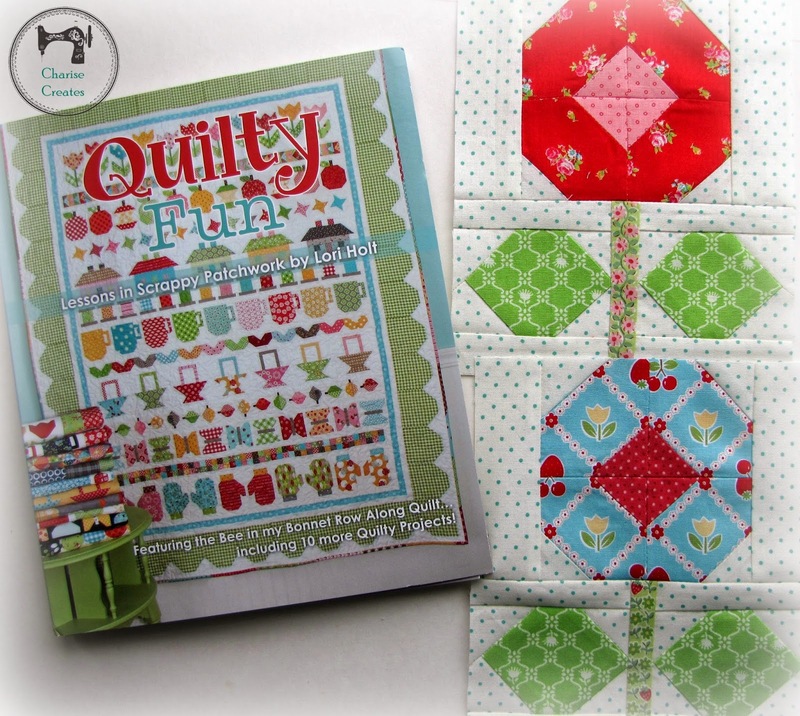 Quilty Fun is a wonderful book written by the uber talented Lori Holt. 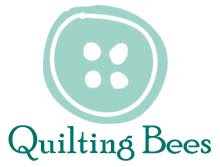 It is filled with wonderful quilts as well as projects including a cushion, table runner and sewing machine cover. 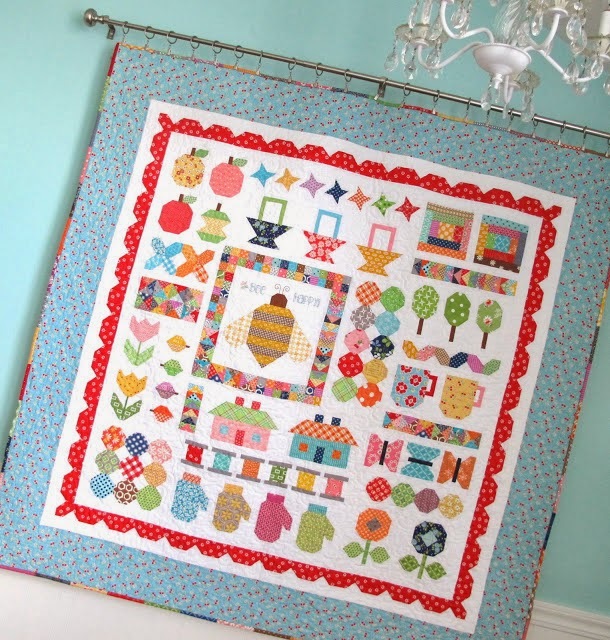 The Sew Along is to make the sampler quilt pictured above using Lori Holt's first book, Quilty Fun. 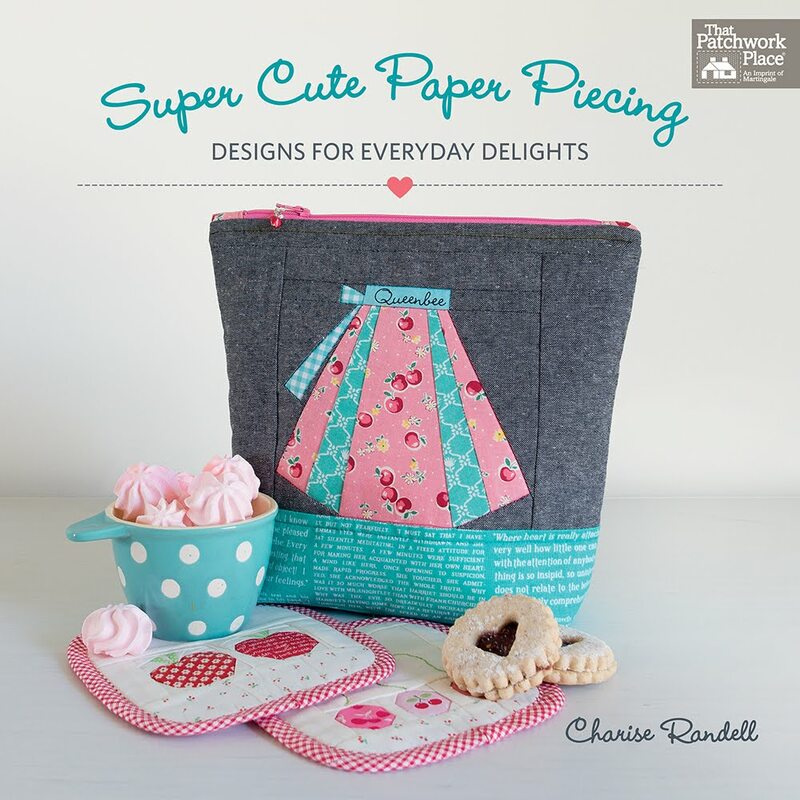 The Sew Along project uses instructions from Quilty Fun, so you will need a book on hand to participate! You can get your copy at the Fat Quarter Shop. To help you with cutting, Fat Quarter shop created a handy PDF companion. 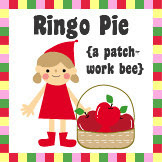 You can find right here. I had so much fun making the flowers for the blog hop! They are so easy to put together and just what I needed to brighten a gray day ~ I am ready for Spring and these flower blocks are so Springy! I used Lori Holt's fabric "Bake Sale" for the Blue flower, and the red flower is "Flower Sugar" by Lecien. The Stems are from Yuwa Fabrics 30's Collection by Atsuko Mastuyama, the leaves are Glamping by Moda and the Background fabric is Essential Dots by Moda ~ my favorite polka dot fabric! I am also sharing a give away! 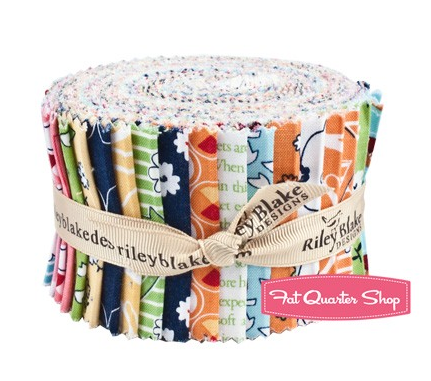 Two winners will win a 2.5” Rolie Polie of Vintage Happy fabric. 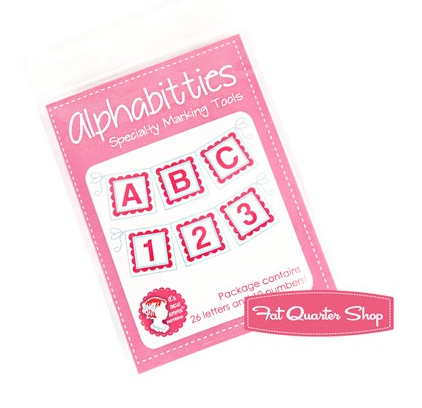 One winner will win a packet of Alphabitties great for marking your cut fabric stacks when quilting. The three winners will be chosen from the pool of submissions on the Flickr group and will be announced on the Jolly Jabber on Monday March 25th. 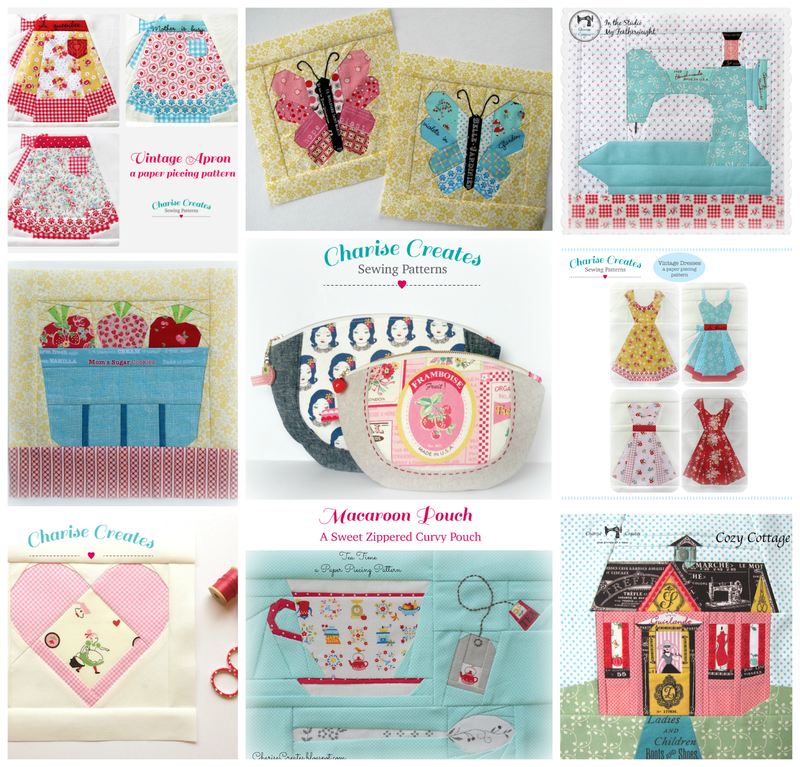 Be sure to post a picture of your Quilty Fun quilt block(s) in the Flickr group for a chance to win! I love your posies and especially the green you chose for the leaves! Charise, your flowers are adorable. 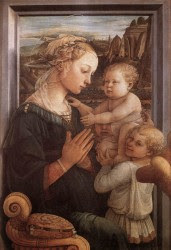 I have Lori's book and have saved all the PDF companions, so hope to start someday soon! I need these Flowers for my SAL. Spring has been slow in coming this year. Cute fabrics, Thanks for sharing! I can hardly wait to finish the last part the next 2 weeks and get this put together. Ohhhhhh! those flowers are a welcome sight!!! I am so tired of looking at grey skies and snow and shivering in the cold! Lol...but those flowers are gorgeous! 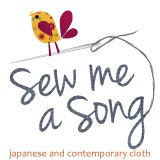 I would love to participate in the QAL and certainly would love more fabrics!!! 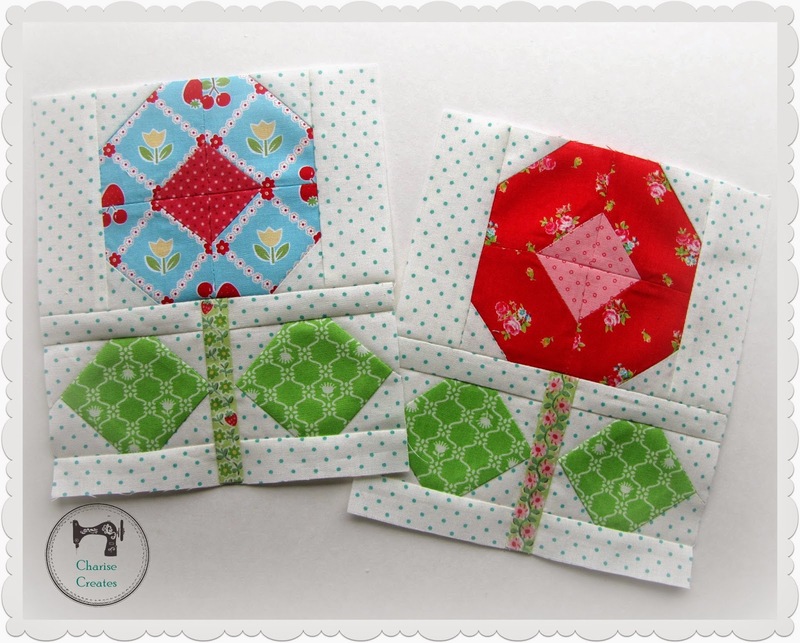 your flowers are so sweet - what a wonderful giveaway too :) I'm so looking forward to putting this quilt all together ! Oh my!!! 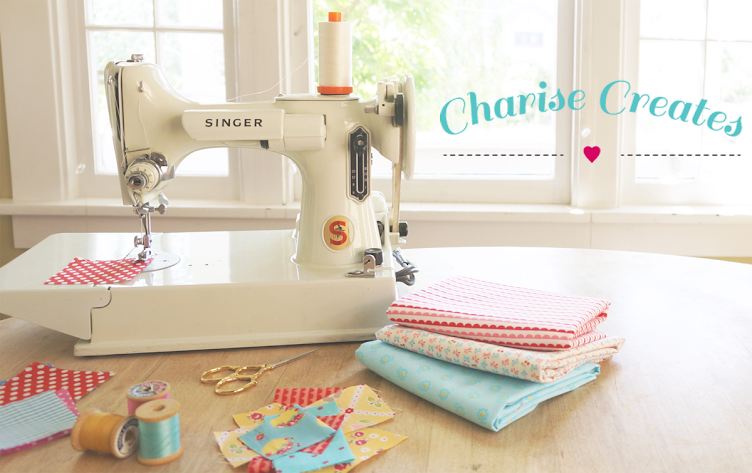 I LOVE your bright and cheerful flowers Charise:) Perfect fabric choices as usual! I am so ready for spring after waking up to snow this morning…i need to see flowers outside instead! 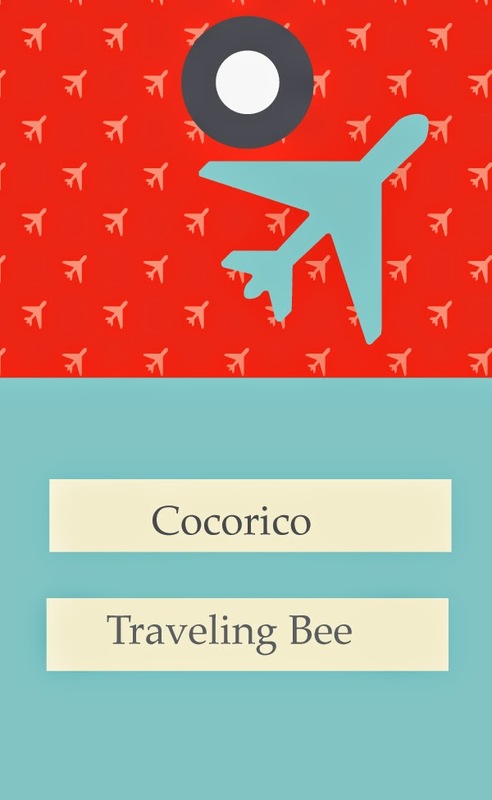 Thanks so much for hosting this week…you are a sweetie!